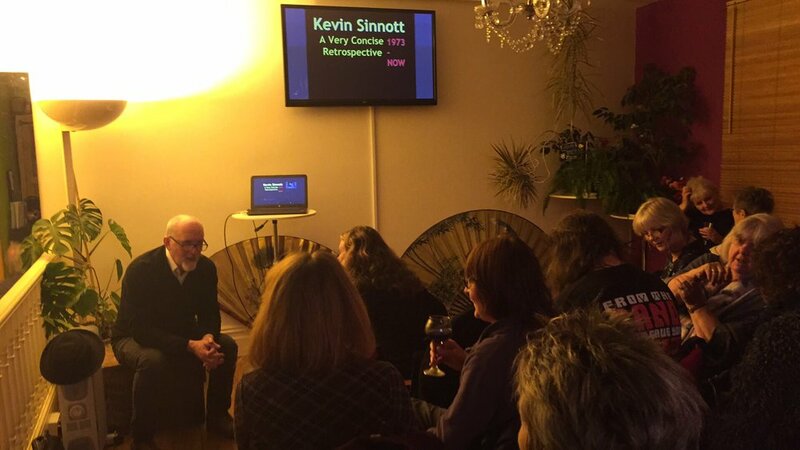 Hire meeting, performance, workshop space in Porthcawl, South Wales. 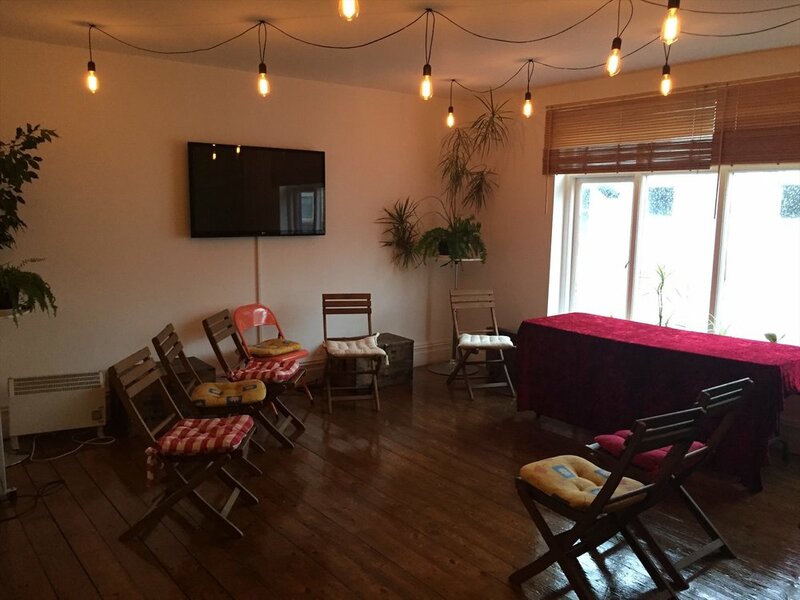 Hire the space used by the Green Room for a workshop or meeting venue. 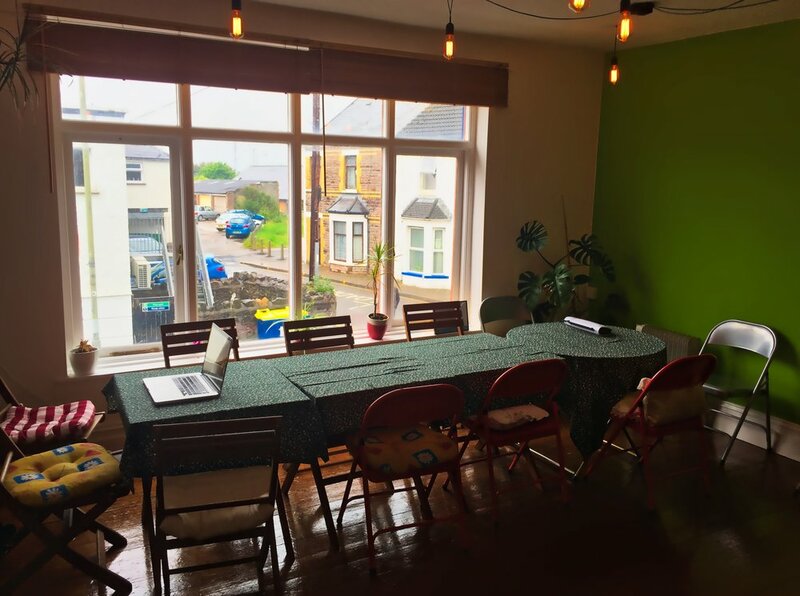 Set in the heart of the coastal town of Porthcawl, a short walk from the seafront, the flexible space above SUSSED Wales provides a great alternative for smaller workshops, performances and meetings up to 30 people. Home made and fairtrade refreshments can be provided. Flexible seating and table arrangements. Dimmable low energy retro lighting. Bright, pleasant environment with flexible seating and table arrangement. Central location, nextdoor to banks and late opening stores. 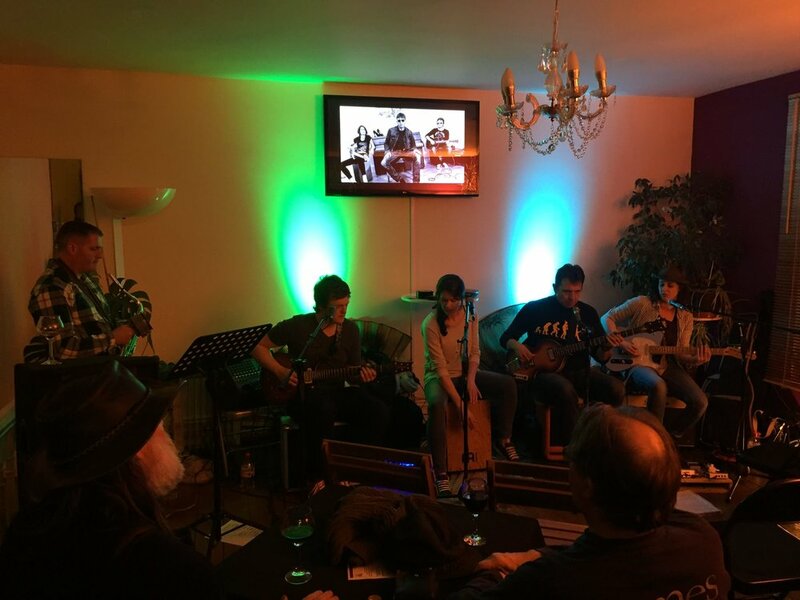 Hire tariff for the Green Room space. James Street, Porthcawl CF36 3BG (nearest rail station is Bridgend, with buses every 15 minutes to Porthcawl in the daytime).